Premiere acts as a distribution point for many of our finishing customers. 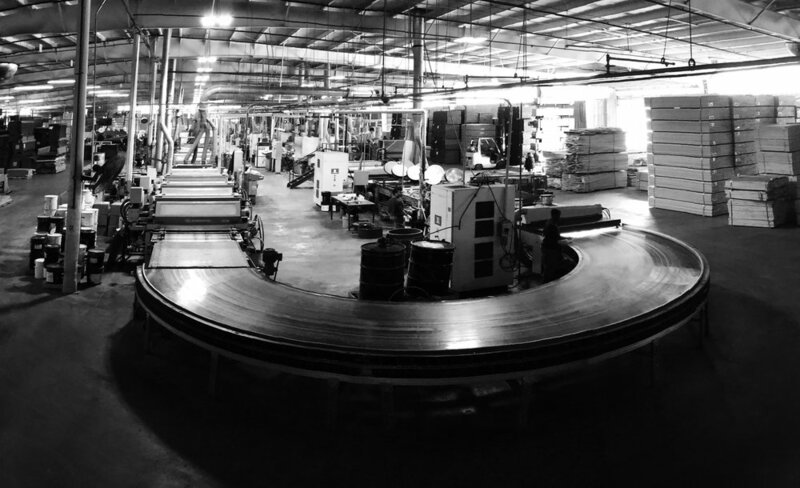 Our 200,000 square foot facility allows us great flexibility in accommodating your needs. 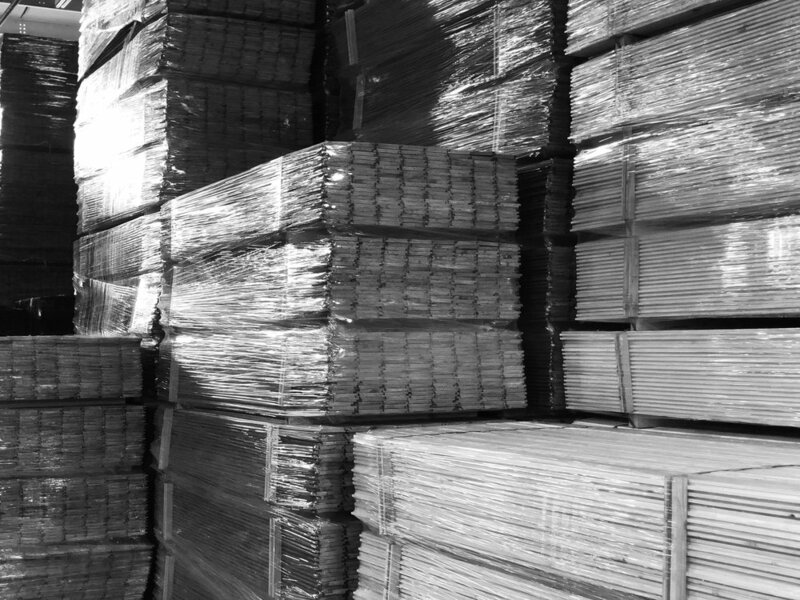 Not only do we pre-finish your unfinished wood, we also store it and drop-ship it from our warehouse for you, saving you money on storage and shipping, and exposing your goods to a greater number of potential buyers. 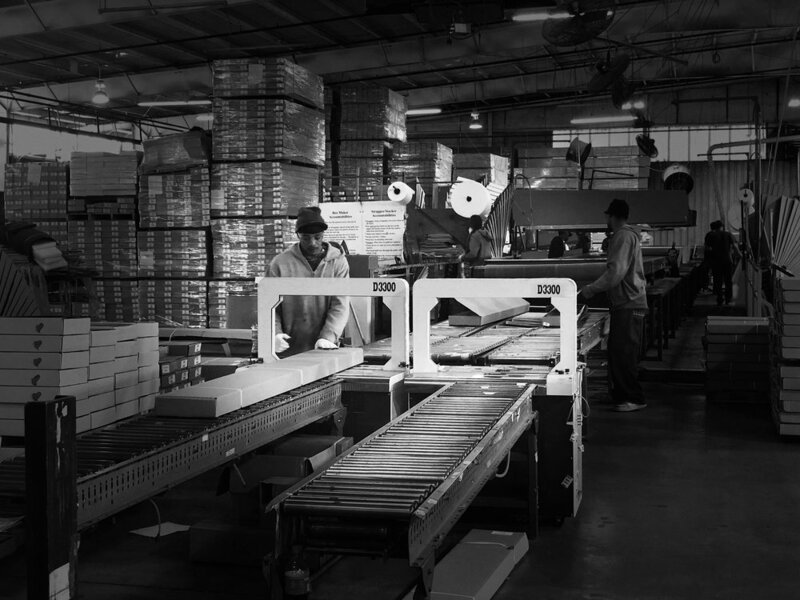 Premiere believes in technology to help improve efficiency and inventory control. When your product arrives, we assign part numbers and label each one with barcodes. With our wireless network and inventory control systems, your inventory is available to view through our secure online portal anytime of day or night. Hardwood flooring available (in stock minus commitment to shipping orders). Want to save money? Learn about our inbound pallet stacking requirements. Ready to ship? Give us a day. PFC strives to achieve excellent customer satisfaction. 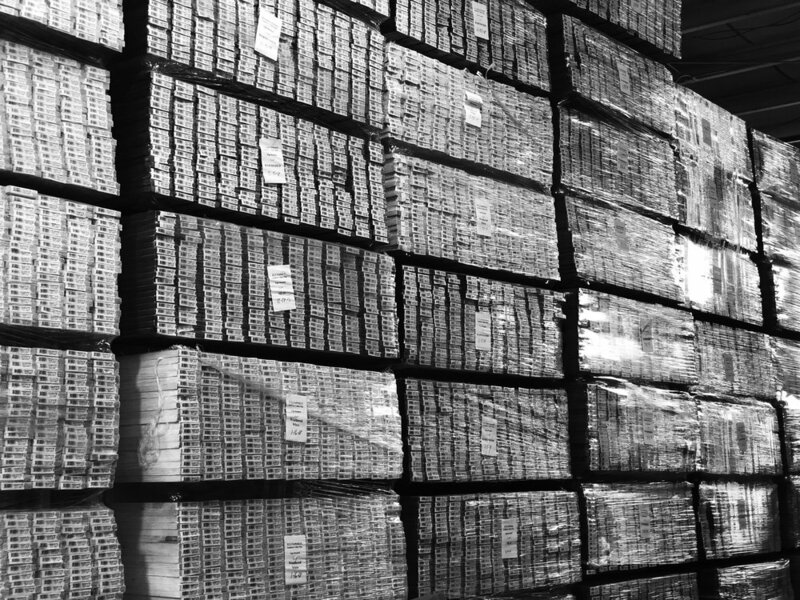 We warehouse and distribute over 3,000,000 square feet of our finishing customers’ inventory from 2 locations. 24 hours notice is required prior to shipping an order. Shipping Department hours are 8 am – 4pm. Please inform your freight carriers as PFC will not be responsible for chargebacks on waiting time or missed deliveries. Please email or fax a Packing List with delivery of unfinished hardwood flooring. Click here for information on what is required on a Packing List. To avoid expensive unnecessary waiting, delivery appointments are required. 24 – 48 hours notice is required to pull and ship orders. Releases or shipping orders received before 12 pm will be available to ship the next business day. If Releases are received after 12 pm, add one more business day. If there are any freight damages, please note it on the delivery receipt, or in the case that most of the order is damaged please refuse the shipment. We have no recourse with the trucking company if there is no documentation. Please take photos of the damage if possible. Scheduling is a critical element of the Shipping/Receiving department. PFC will not be responsible for any charges incurred for waiting times of unscheduled shipments. Understanding our production scheduling will help to ensure your hardwood flooring is finished as quickly as possible. Whether it is shipping out or being received in, we have you covered. Your hardwood flooring can be prefinished within one to two weeks after the raw flooring is entered into our system. We do, however, recognize that "rush orders" come up from time to time, and we will make efforts to accommodate your requests. Smaller runs or custom color requests are typically scheduled for Fridays. In order to have your small or custom color order run on Friday, your raw wood must be received by Wednesday. All returns must be approved by either Jeff Beach, Larry Holcomb, or Abigail Linville prior to shipping material back to Premiere Finishing. If it is not a structural or finish claim, there is a $150.00 minimum return fee, or $20/hour labor cost to return material to original listing condition and $2.00/carton to re-box it. After a return is checked in you will receive notice (email) with an update as to the return. Who is returning the product? Please include your company name and your customers name. Have other helpful information? Please include any other helpful information that will help us process this return in a timely fashion.